If you’ve floated in a sensory deprivation tank––or even if you haven’t, but you’ve done all the research––you’re well aware that the flotation experience is a lesson in solitude. It’s just your body, your mind, and some saltwater in there. Naturally, some people might be scared at the thought. Why would you want to trap yourself in a tiny capsule, naked and vulnerable and alone? Well, you don’t have to be alone. Since many people are uncomfortable with the thought of flying solo, they go with a friend or a loved one. Some float centers even offer cutting-edge tanks suitable for two people (though these are rare––and pricey). But even if you and your partner are lying in separate tanks with a wall between you, the benefits are many. And the overall experience can be very, very different. So try floating with a friend next time. wary of float tanks. And for good reason: they’re pitch black, silent, enclosed, and you’re floating in water that’s saltier than the Dead Sea. Not to mention all the weird, colorful thoughts that ping-pong around your brain. It’s normal to be nervous or experience some anxiety beforehand. But having someone you trust there with you, experiencing the exact same thing, can be the difference maker. Anytime you start feeling anxious or overwhelmed by the experience, pause and think about your friend in the next tank. You’re together. You’re both floating. You’re fine! When you float for 60-90 minutes in a sensory deprivation tank, your mind goes on a journey. Unless you’re an experienced floater who can dive into a deeply meditative state, you’ll probably find yourself thinking of everything going on in your life. 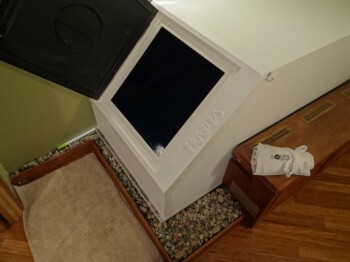 But if you think of the float tank as a productivity tool, you can use the time to organize and plan your life. You might work through all the details of a problem and plan a course of action. New life goals and desires might pop up from the void. Maybe, in a moment of stunning clarity, you’ll finally come to understand why it’s called “football.” It’s also entirely possible you’ll hallucinate…or fall asleep and then hallucinate. Whatever happens in there, you get to immediately share it with your friend who just went through the same thing. Stay away from your phone, say no to insta-sharing on social media, just this once, and converse with your friend. What did you both see? What did you think about? Were your thought patterns constructive, productive, destructive? How does your body feel? There’s so much that happens to the body and the mind during a float session. Share it with each other, and learn something. Think about the last “new thing” you started by yourself. Yoga? Rock climbing? Gym? Were you still downward dogging or swinging kettlebells six weeks later? Yeah…maybe not. Maybe if you’d thrown a friend into the mix you would have stuck with it. Being accountable to another person is far more powerful than being accountable to yourself. For some reason we don’t want to let our friends down, but have few qualms with skipping the solo workout to binge on Netflix. Embrace this fact; use it to your advantage. Because floating relaxes and refreshes your muscles, it can be a great auxilliary practice for physical activities. Try developing a routine wellness practice with your friend: hit the float center together, then move on to the gym or a yoga class. If you find the whole experience rewarding, you can make a habit out of it. For the sake of this point, let’s assume you hit the float center with a loved one. Let’s also get straight to the underlier: floating makes your body feel great. If you’re able to reach a completely relaxed state, it’s possible to trick your mind and body into thinking they’re asleep, which can produce a significant rejuvenation effect. When you get out of the tank your senses are heightened. You can feel refreshed, relaxed, and euphoric––and, sometimes, aroused. Don’t be alarmed. Don’t be ashamed. If you’re on a date, isn’t this the best case scenario? You just shared a highly positive experience with the person you love (or are just getting to know…), and there’s nothing wrong with continuing the intimacy elsewhere. It’s simple: floating can be therapeutic. It can help relieve physical and mental stress. Your familiarity with this point is, most likely, directly proportional to the number of times you’ve floated. You know the power of the tank––and sharing that power with someone else can be just as rewarding as the float itself. In an article written for Discover Magazine, author Shelly Fan cites various studies on sensory deprivation conducted over the last few decades. One study found that “within and across flotation sessions, blood pressure and levels of stress-related hormones dropped.” Another concluded that “flotation was more effective at reducing stress than other popular methods.” Others showed correlations between floating and a reduction in chronic pain and fibromyalgia. Admittedly, there has not been enough extensive research done on the subject to support a strong base of evidence, but more work is being done every year. I certainly don’t recommend you diagnose a friend’s pain or anxiety, much less try to treat it. However, the chances are high that you know someone in pain. Even if floating gives them just one day of temporary relief, it’s worth it. 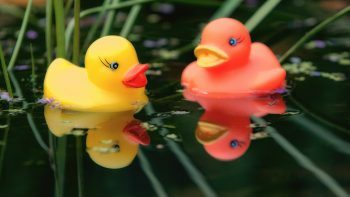 Thinking of floating with a friend? Isolate Flotation Center has you covered! 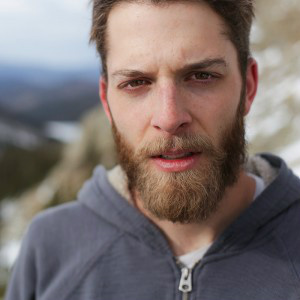 Connor Griffith is a freelance writer, rock climber, and road tripper, currently based out of Boulder, Colorado. Learn more about him and his travels on his website.